Take control of multimedia work — single handedly. 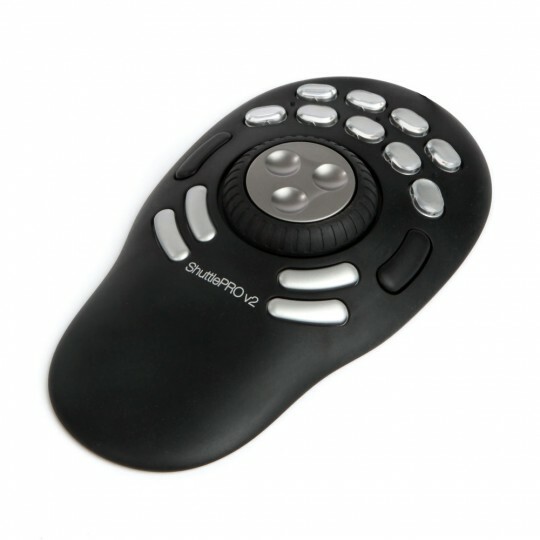 The Contour ShuttlePRO v2 is an innovative time-saving desktop mouse for audio/video/photo editors, graphic designers and other creative computer users. 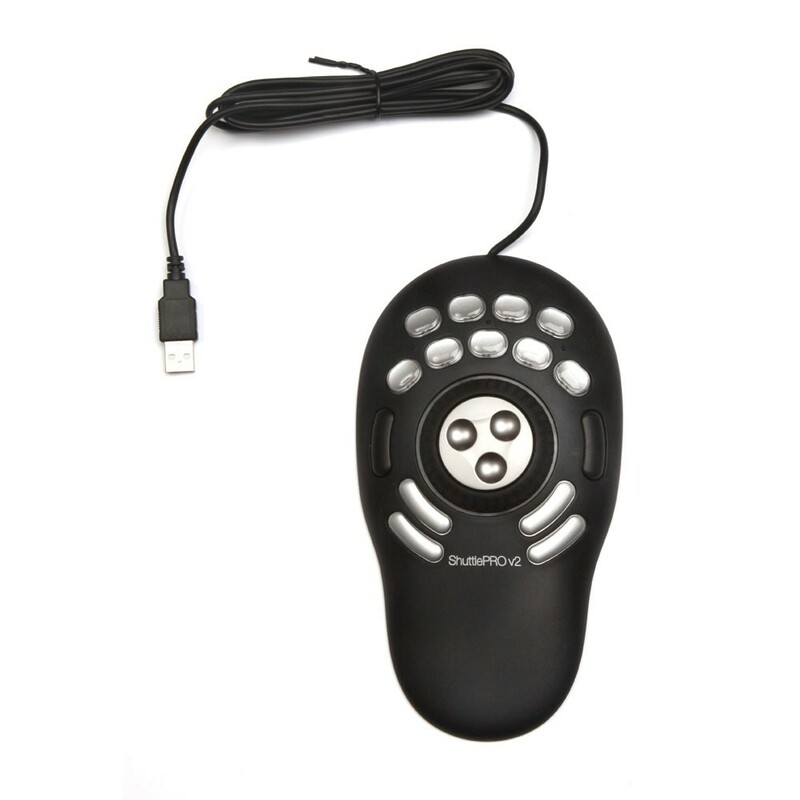 You can easily programme 15 buttons with customisable functions. 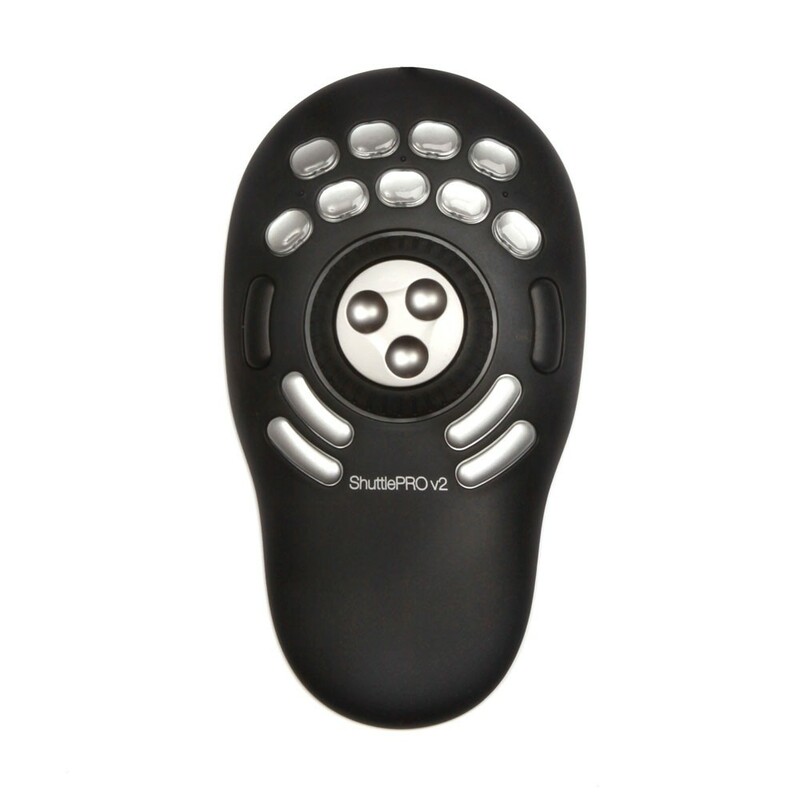 Contour ShuttlePRO v2 simplifies the navigation of multiple software programmes to allow you to get more work done, with less effort. The AppDetection feature will even detect which programme you’re using and switch its configuration accordingly, a real perk if you’re using multiple apps in one project. Breeze through work with unprecedented control thanks to the jog/shuttle wheel, a throwback to reel-to-reel analog control editing. This allows you to move through your timeline at variable speeds, giving you frame-by-frame control over your work. 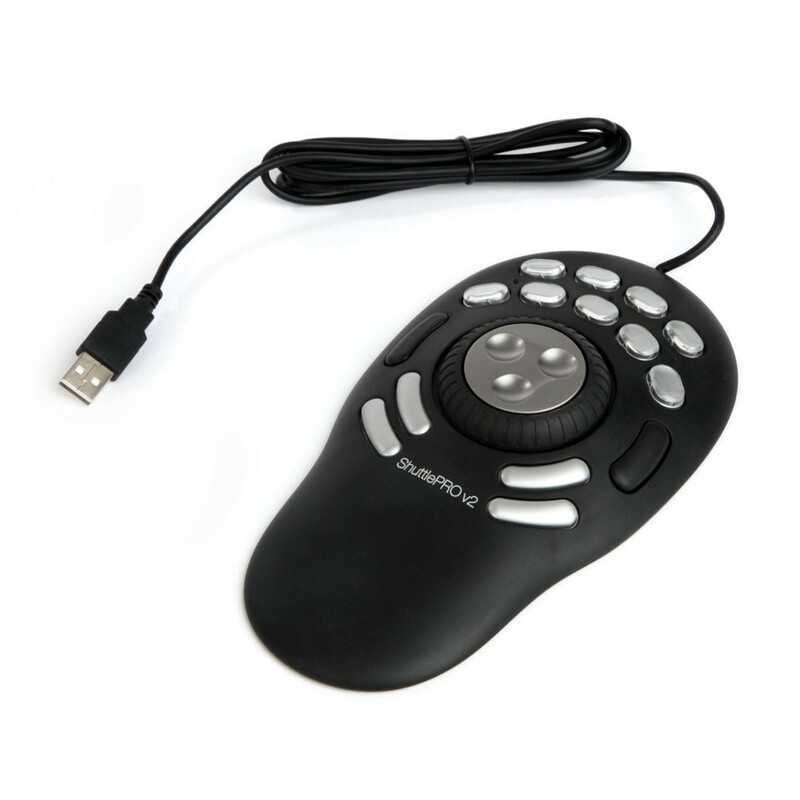 Great for audio editing too.